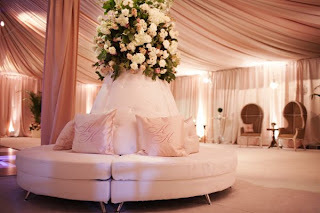 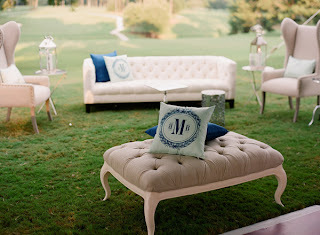 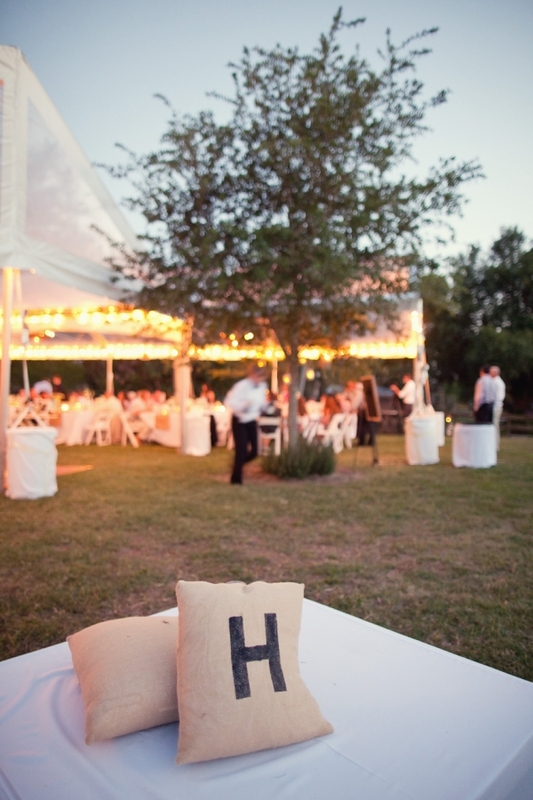 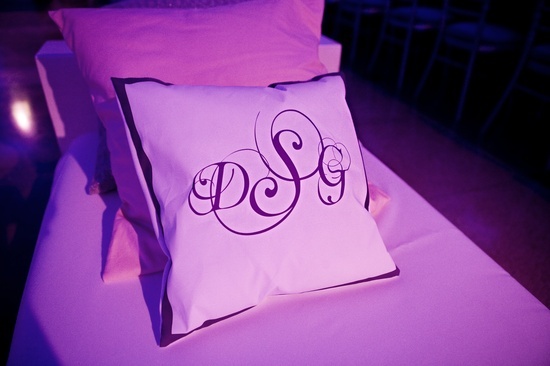 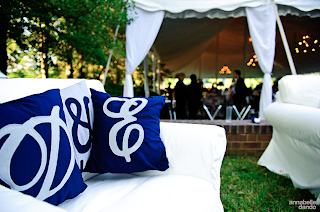 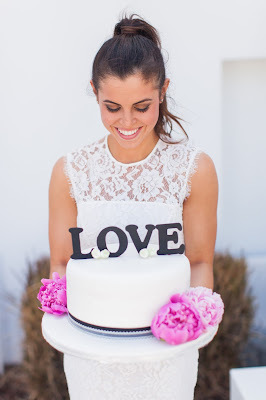 No better way to spice up your wedding lounge area then with some fun monogrammed pillows! 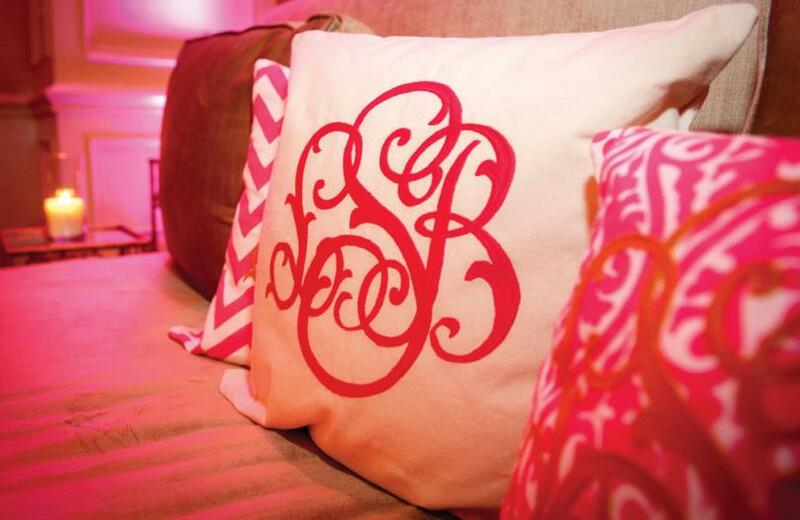 Whether in your color scheme or a contrasting palette, these personalized additions can also be used in your home post-wedding as fun decor and a happy reminder of the special day. 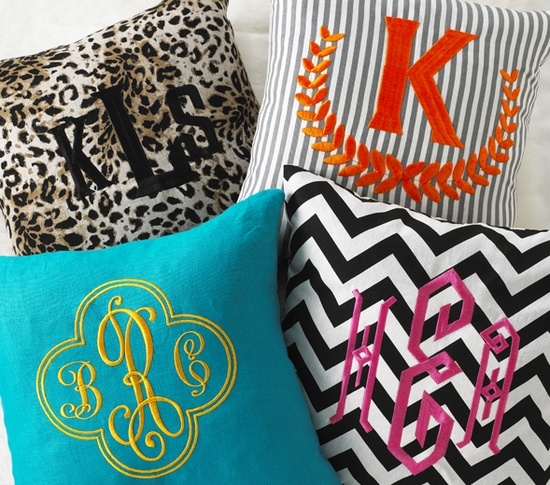 DIYed or bought from a store, each pillow makes a statement! 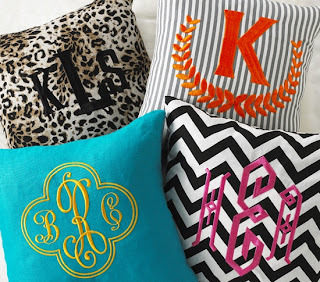 Whether using 1 initial for your newly shared last name, 2 letters to represent your first names or your new 3 lettered monogram, you can't go wrong! 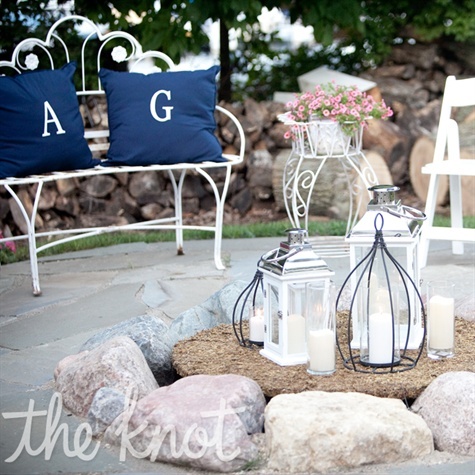 Anyone else displaying some wedding decor in the home post-event?